Thika Town Today marked April 1st by republishing a made-up story about a goat in Kiandutu slums that had given birth to a kid bearing human-like features. We intentionally picked this story from our archives, having posted it last year just to check if our fans could retrace it from there. However, apart from a few who were smart enough to identify the prank, most of it fell for it. In the story, John Mwongela, a resident of Molo area in Kiandutu woke up to find that one of his goats had given birth to a kid that had the features of a human baby. 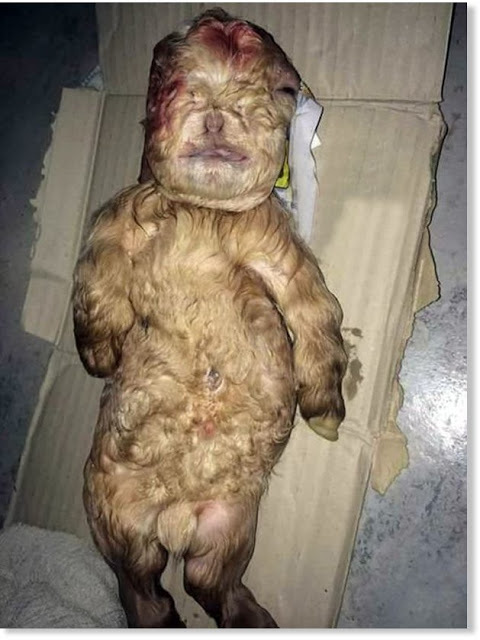 Its face, nose, short legs and even the condition of its soft body seemed like a human baby, but the light brown fur covering its whole body resembles that of a goat. Otherwise, the kid did not have any umbilical cord. Apart from a few who doubted the story and liked it to the April Fools’ Day planks, majority of the readers fell for it and even started creating own myths about the cause of this “Bizarre incident”. The story hit over 2000 engagements and over 15,000 views on our Social Media accounts, showing the magnitude of the seriousness it held in the people’s minds. Otherwise, 3T still stands for the truth and will always “Tell The Thika Story As It Is”. We appreciate all our fans so much as they are the ones who have taken us this far. Joshua Ndungu Leo ni holiday ya wajinga. Lonah Muthoni It's only fools who say there is no God. Today is their day... No news.